This case truly shows the importance of the adaption of products to local requirements in foreign countries. Due to globalization, markets are changing faster today than ever before. Global companies cannot just rely on their standardized products over a lifetime. There comes a point where you have to admit, that you cannot ignore the local responsiveness amongst different segments anymore. You have to get creative as well as innovative in order to be able to defend your position on the market. I think that it is great that Coca Cola now really starts putting its efforts towards the development of new products. It shows, that even global companies start to overthink their strategies which were set years ago to exploit their fully potential and find new ways to continue to grow. I find the case of , “Coca Cola with a Buzz” very interesting because it is a good demonstration of how companies should properly adapt when expanding and entering new markets. I feel that Coca Cola is a great example because they are one of the few companies that has successfully adapted, introduced, and developed products to other cultures. An example of their strategy for global adaptation, is simply by looking at their website. On their main website, each country’s webpage is targeted to market to the country’s culture. They have been able to demonstrate the importance of their consumers tastes around the world. There are many global companies that do not share the same mindset as Coca Cola’s global adaptation. Often, companies have a hard time adapting to a country’s culture because they don’t properly research the market or look at how their product will impact in that market. They have a hard time at succeeding in a new market because they focus on introducing a product without any modification. However, with changing demand of consumers it is important for a company to look at all aspects to be successful in a new or existing market. That story about Coca Cola shows that a pure globalization strategy without any adaption to local markets, especially in the field of beverages, is not the best way to go. And in my opinion, that fits to a wide other range of products too. In this example of internationalization even the product itself is in need of adaptation. But also if your original product is accepted and well established in the foreign market, adaptations in other fields like advertising are most likely necessary as other examples like the failure of Coca Cola in Saudi Arabia during the soccer world cup in 1994 show. With experimentations like the one with Lemon-Do in Japan Coca Cola starts to get closer to more local responsiveness. With their well-established global brand this seems to be the right step towards becoming a transnational company. I am a big fan of the coca cola marketing because in my opinion they do a lot of things right. This case is a perfect example for international marketing. It is not enough to enter every market with the same strategy or even the same product. Every culture has an own mindset, other perception and also other necessities. Coca Cola realized how important it is to listen to the customers/markets and to do a research for every new market. Consequently you have to adapt the strategy and also sometimes the products for foreign markets. For example it doesn’t make sense to sell milk as a “good night drink” when for your target group milk is more like an energy drink. A lot of global companies are not able or willing to chance their plan A and be more open-minded.I think for companies with low Uncertainty Avoidance it is easier to change their habits, because they have less emotional resistance to change and they are also risk-taking. Coca-Cola seemingly has played well its cards and it has maintained its place in the markets despite it has plenty of considerable good market rivals. Even though United States is described rather non-pragmatic country, Coca-Cola has dared to do differently which has been a profitable act. Moreover, very thoughtful act from the company side has been the tailored marketing for different cultures. If targeted country is conservative one, it is guaranteed to not gain success there if bold marketing is used. It is important to value and appreciate cultural differences and in today’s diversity world it’s even more urgent. Coca-Cola has realized this and, as mentioned in the post, investing in developing regionally different offerings simultaneously contributes market sharpness. Different countries have different norms, like individual-oriented society or masculinity predominance which means many aspects needs to be taken into consideration within overall appearing, just as it already has done. This case really demonstrates the importance of adapting when expanding into foreign markets. Coca-Cola is a brand with a product that is known all around the world, and yet they still continue to expand their product selection so that they can penetrate any market successfully and continue to grow. With Lemon Do, Coca-Cola has branched out into a whole new field with a lot of potential for expansion. They are testing it out in a single market where similar products are known to be successful to get a feel for how consumers will react. If the product is successful, they will, without a doubt, expand this product into other markets. Coca-Cola has found a perfect medium between standardization and adaptation, where they are able to achieve customer satisfaction and local acceptance, while maintaining the quality of their products and loyalty of their consumers. They have succeeding with dealing with external adaptation pressures, and continue to sell their products in over 200 countries. It is a great example for companies who think their product is so great that they don’t need to adapt. Even a giant like Coca-Cola is willing to make changes to continue to be successful all over the world. This reminds me of McDonalds and the way that they have been able to adapt their simple burger, fries, and a drink combo into something way more advanced. If you visit international McDonalds, you can see that they have different variations of their product. In India you have the vegetarian burgers, China they use chicken thighs in all of their chicken products as well as they use a special chili garlic sauce that is a china exclusive, and in Germany they incorporate Nürnberger sausages in the burger recipes as well as serving a variety of beers. These are just a short list of the ways that McDonalds has been able to adapt their product in order to cater for a certain region. 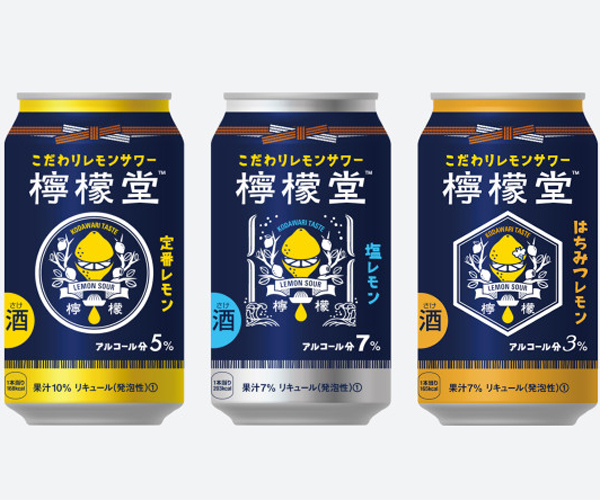 It’s very simple and I think that Coca-Cola should be applauded for their efforts in understanding that Japan is a great place to introduce a new line of Alcopops. They have the knowledge to understand that their name holds more weight than a smaller company that strictly makes alcopop related products. When looking on a shelf and wanting to purchase an alcopop I would definitely want to purchase a brand with that much influence. Coca-Cola should be appreciated for their due diligence as not many companies would have taken the time to do proper research. This is a reason why Coke is such a strong name and the Coca-Cola brand is here to stay. They have always been able to keep their values of having a great tasting drink, all the while they have ventured out of their standard soft drink market. Their success has not been surmounted and at this pace and with the knowledge that they have generated from around the globe they could sell any drink product and make a profit.